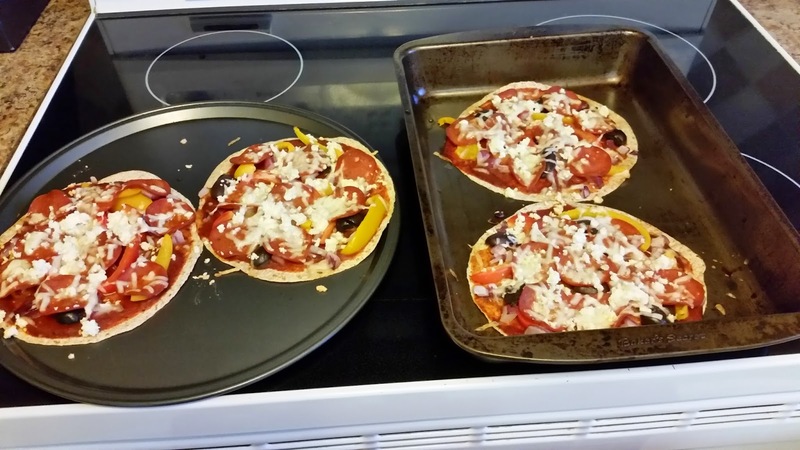 Yesterday I made mini pizzas for dinner. Easy, quick and delicious! There's not really much to it other than the ingredients shown below in the picture. I didn't use pizza dough. Instead I use store bought tortilla wraps. You could also use pita bread as well which I might try for next time. 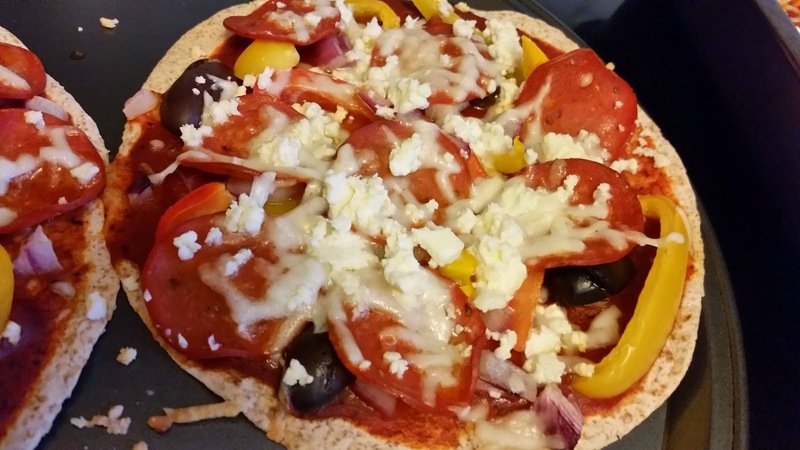 The tortilla wrap is good but it does become a little soggy with the pizza sauce. Just slap all of the ingredients on and bake! I baked it until the cheese was all melted and it was cooked thoroughly. And bam! Dinner is done! 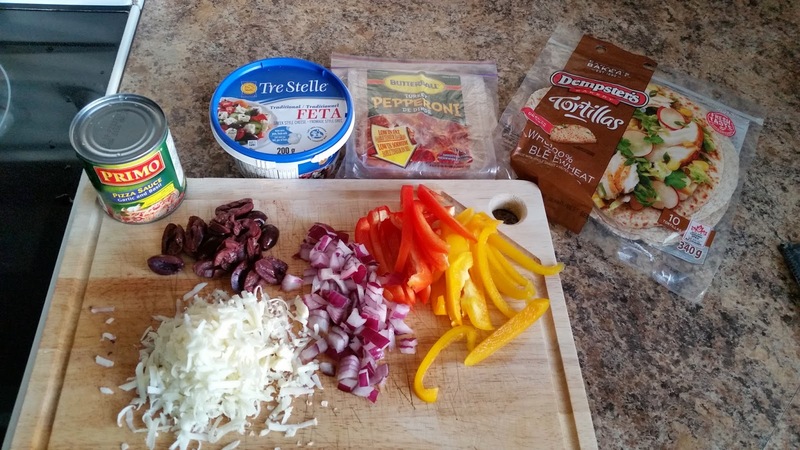 The great thing about pizza is that you can basically use any ingredients that you have laying around. It's a great way to get rid of left over veggies. I tried to go for a Mediterranean theme but not really sure if that was the end result....! Hope you give this idea a try and let me know! What are your favourite ingredients on your pizza?